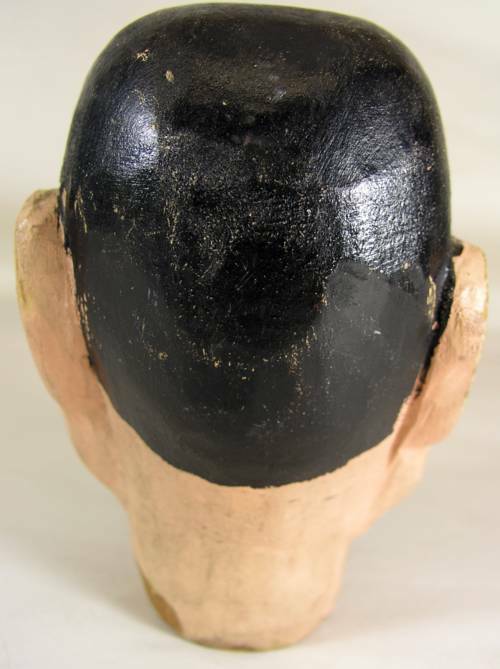 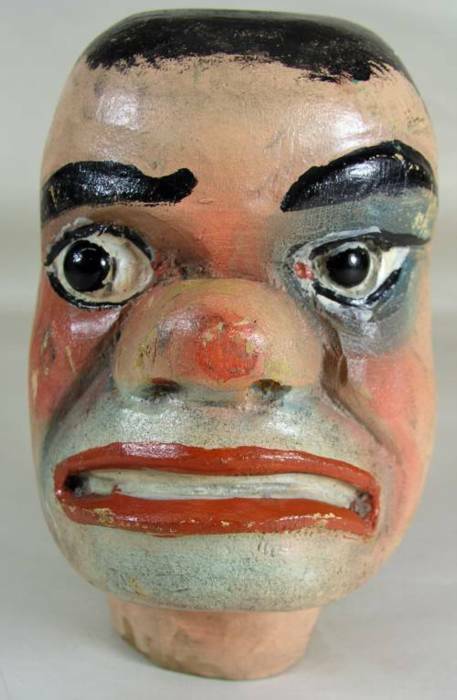 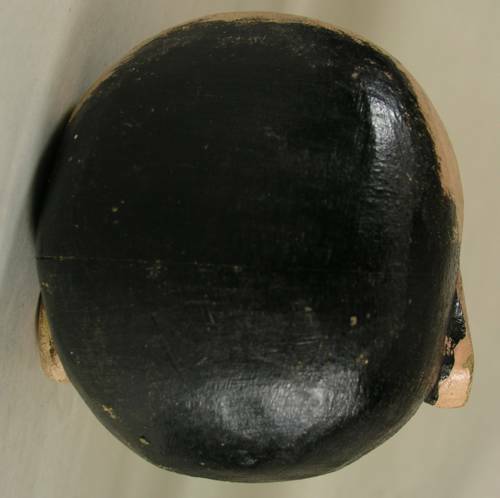 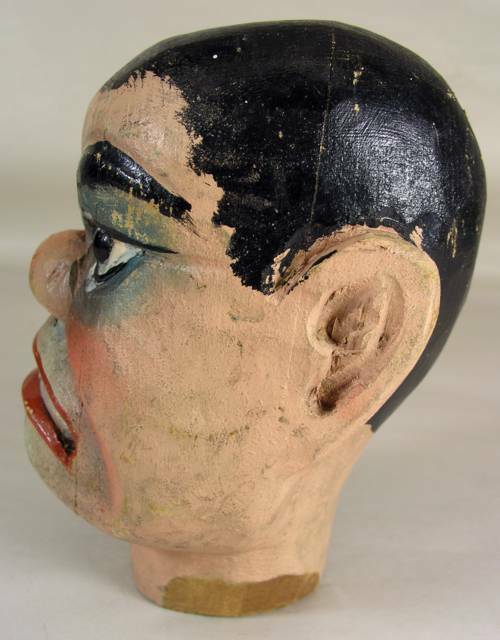 Signed PINXY carved and painted wooden ventriloquist or puppet head created by noted carver George "Pinxy" Larson. 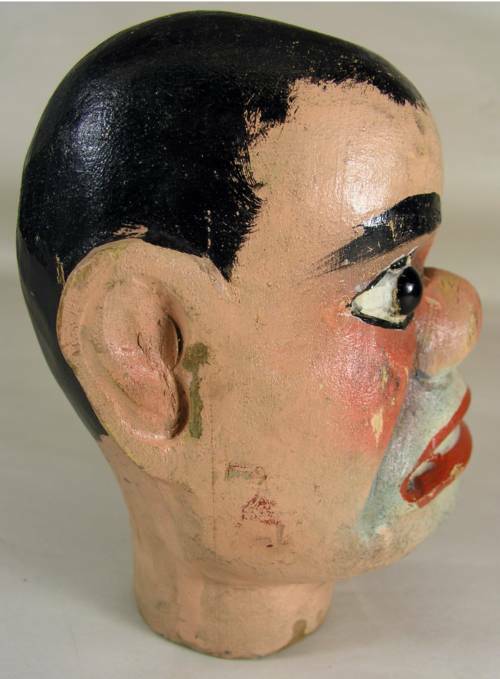 As found with very minor wear..
What you see is all I have no body. 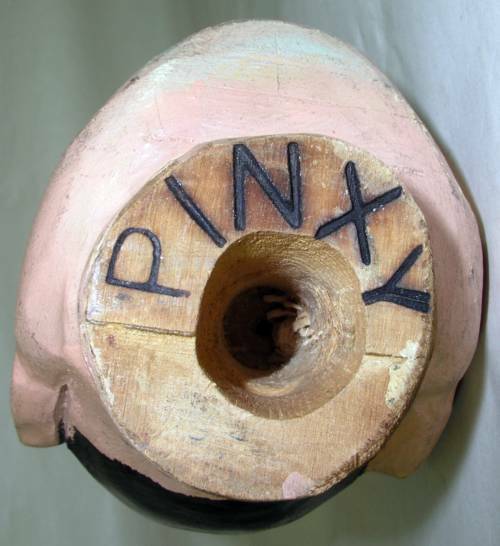 Dimensions: Measures 6" tall X 4 .5" deep.